An IQ score stands for intelligence quotient; this term defined as mental aged divided by the chronological age of an individual. IQ is measured using psychological tests such as the Weshcler Adult Intelligence Scales (WAIS) and the Woodcock Johnson Tests of Cognitive Abilities (WJIII Tests of Cognitive Abilities). Both of these tests divide intelligence into verbal intelligence and non-verbal or performance intelligence. Aspects of intelligence measured by both of these tests include working memory, retrieval of information from long-term memory and the executive functions of the brain. While age in of itself does not change one's IQ score as measured by these instruments due to the scores being compared to the scores of others in the same age range, changes in certain subscales of these tests might be useful in the diagnosis of Alzheimer's disease,dementias and other disorders related to the brain. Aspects of IQ scores can be useful in diagnosing the cognitive symptoms of Alzheimer's disease and other disorders that result in memory impairment. 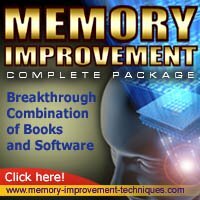 Additionally, this information can also be useful in targeting brain exercises .The WJII Tests of Cognitive Abilities have a scale, which assesses the Executive Functioning, an area known to be impacted by the disease processes of the dementias. As a diagnostic instrument, a baseline set of scores is needed and the tests need to be re-administered at intervals to determine if there are significant changes. A primary care physician can make the referral to a clinical psychologist or neuropsychologist so an individual can make use of these assessment instruments. Fox, N. E. (1998). Presymptomatic Cognitive Deficits in Individuals at Risk of Familial Alzheimer's Disease. Brain, 1631-1939.